I’ve been on the hunt for healthier snacks lately, and while I love me some kale chips, I wanted to try my hand at making zucchini chips. I like my chips packed with flavor, so I went ahead and coated these in spicy curry and ginger. 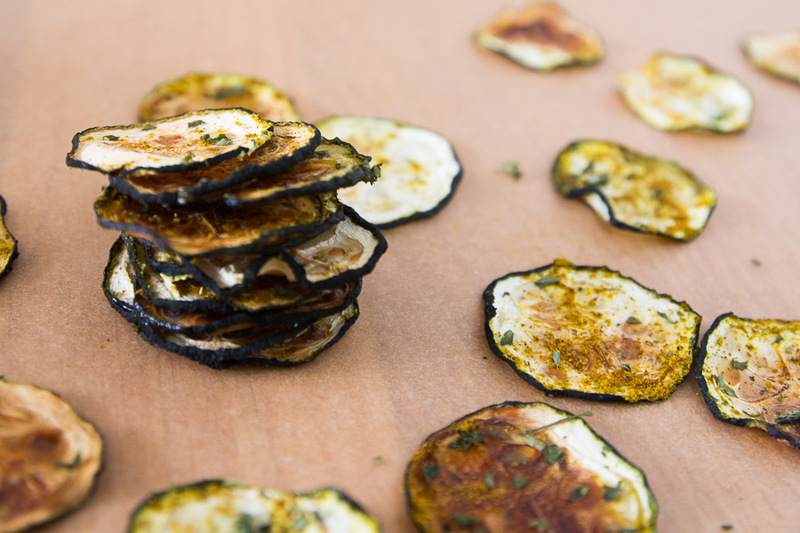 You can make these in a dehydrator, but since I don’t have one I went ahead and made them in the oven. They turned out so tasty and were gobbled up in minutes. Slice your zucchini into about 1/4 inch rounds (a mandoline slicer definitely helps keep them even). Sandwich the zucchini rounds between two paper towels for about five minutes, so they can absorb the excess water. Place the zucchini rounds on a parchment paper lined baking sheet. Brush the slices with a very small amount of olive oil. If you put too much olive oil they will turn out soggy. Mix the curry, ginger, parsley, and pinch of salt together and sprinkle over the slices. 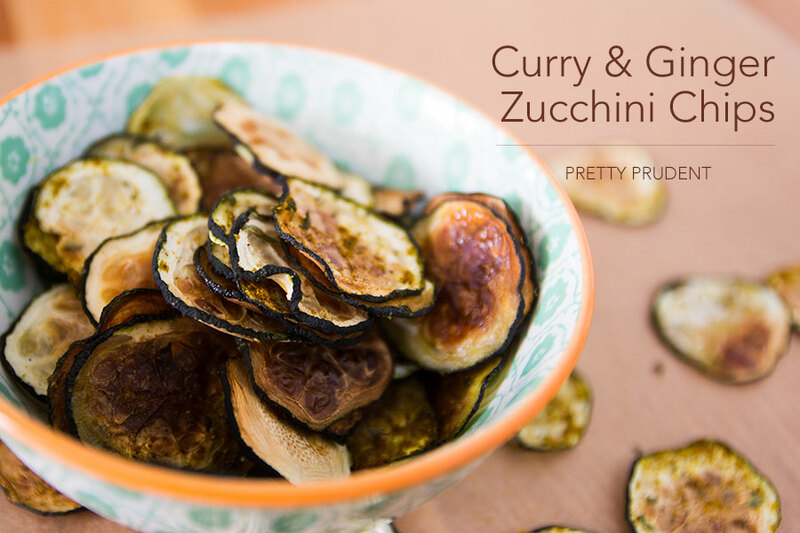 You don’t want to add too much salt or the zucchini slices were shrink up way too small. Bake for an hour and flip. Bake for another 45 minutes to an hour. Towards the last twenty minutes, keep an eye on how they are cooking to ensure that they do not burn. You want them to be nice and crisp. Remove them from the oven and let them cool. They will crisp up even more. Eat them immediately or store in an air-tight container to enjoy later.